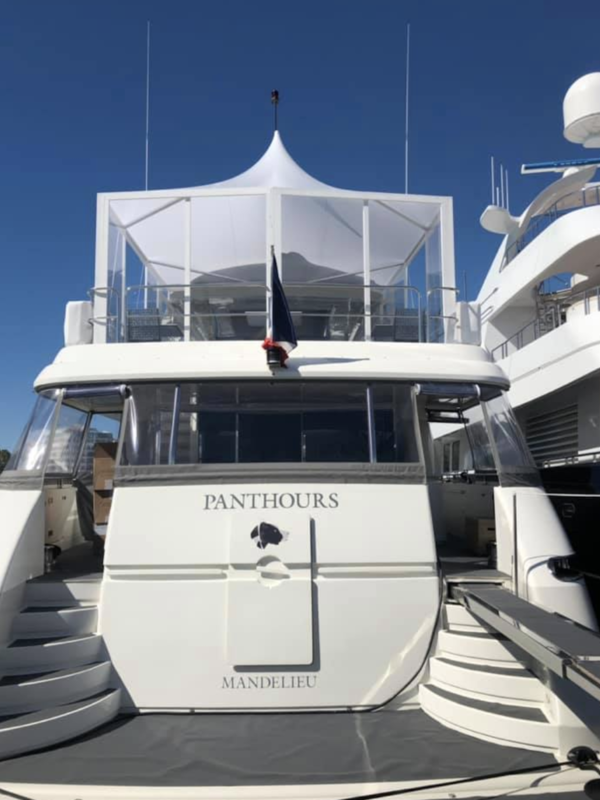 Motor yacht PANTHOURS is a 27.00m (88' 7") luxury vessel built by the Italian shipyard Sanlorenzo in 2005 and completely refitted in 2018. 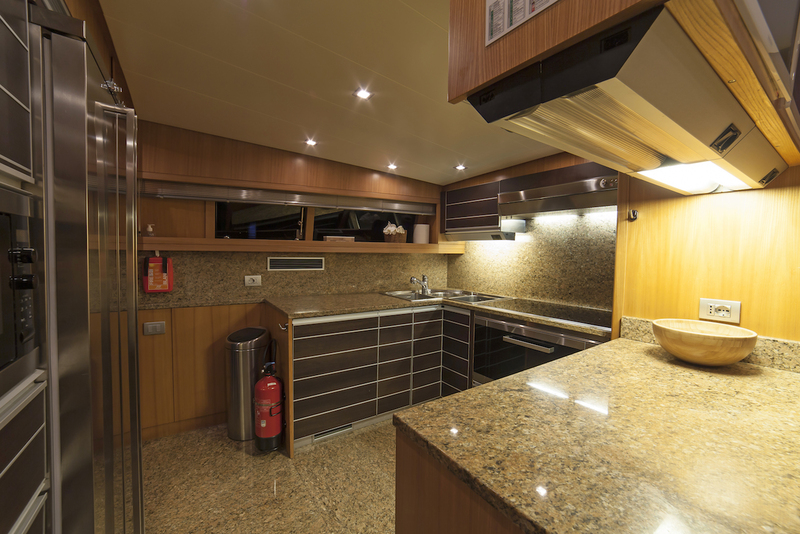 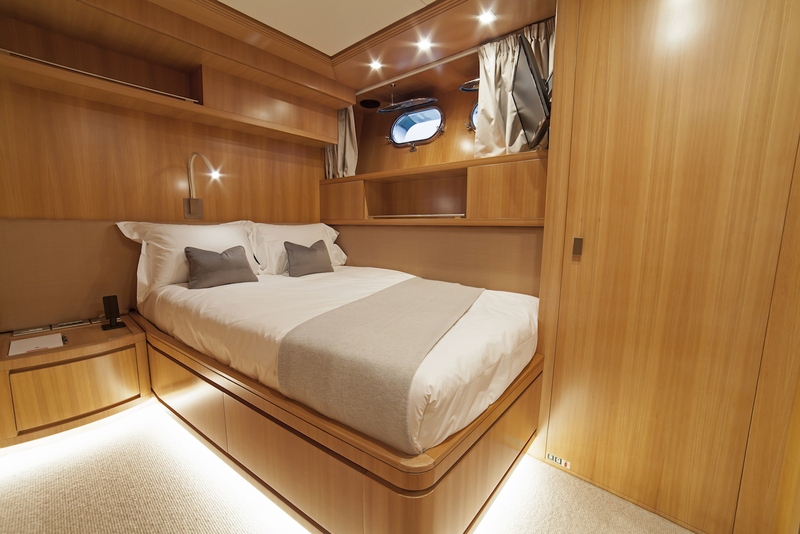 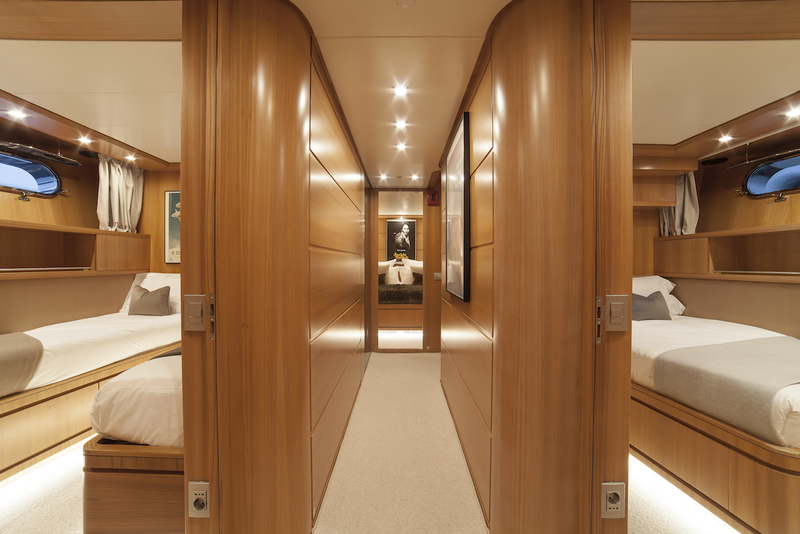 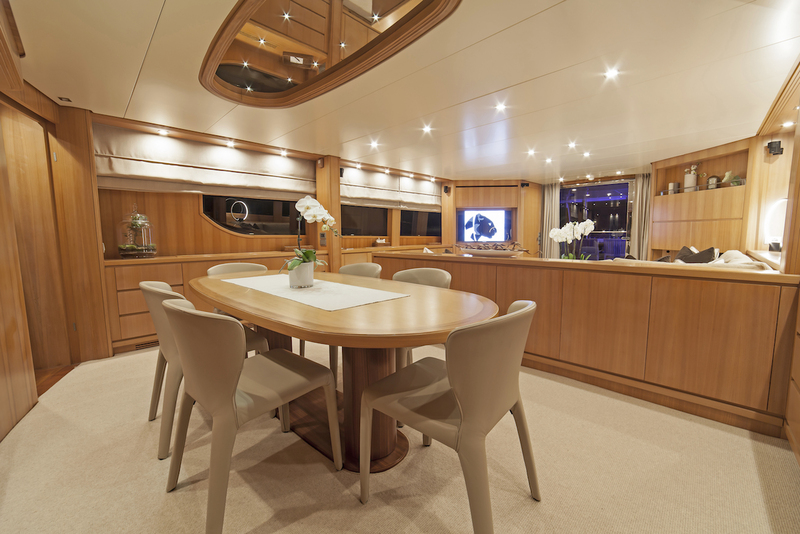 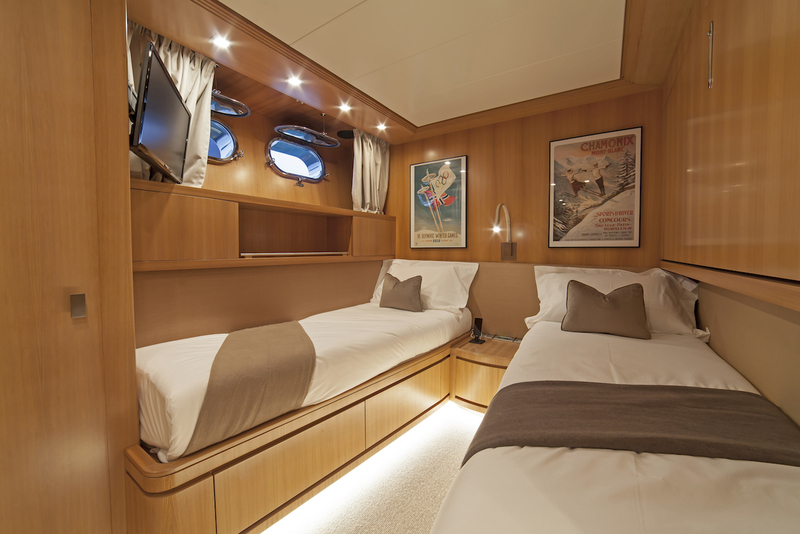 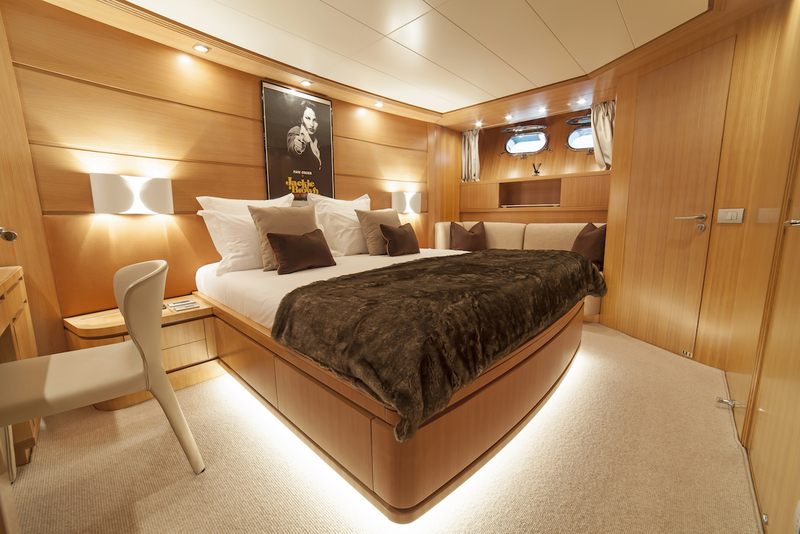 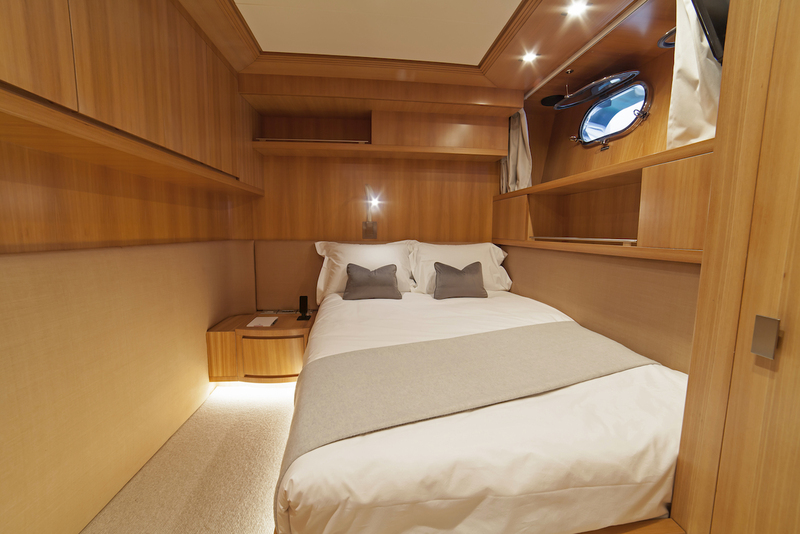 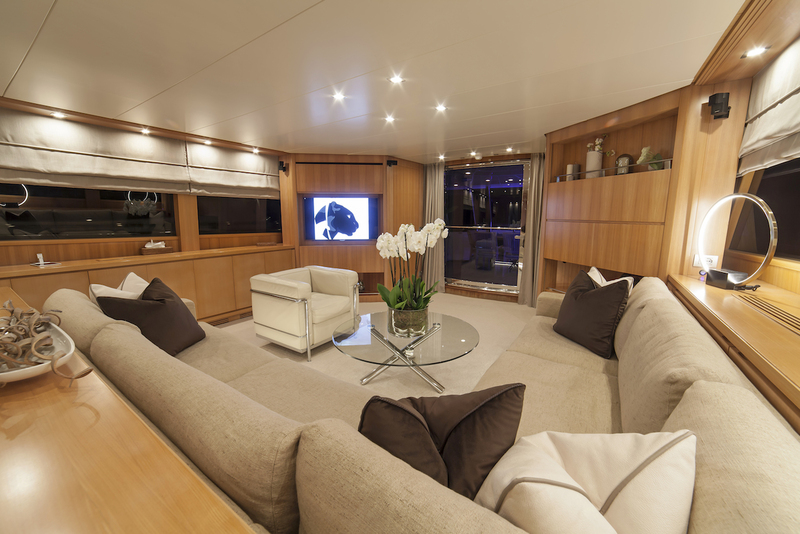 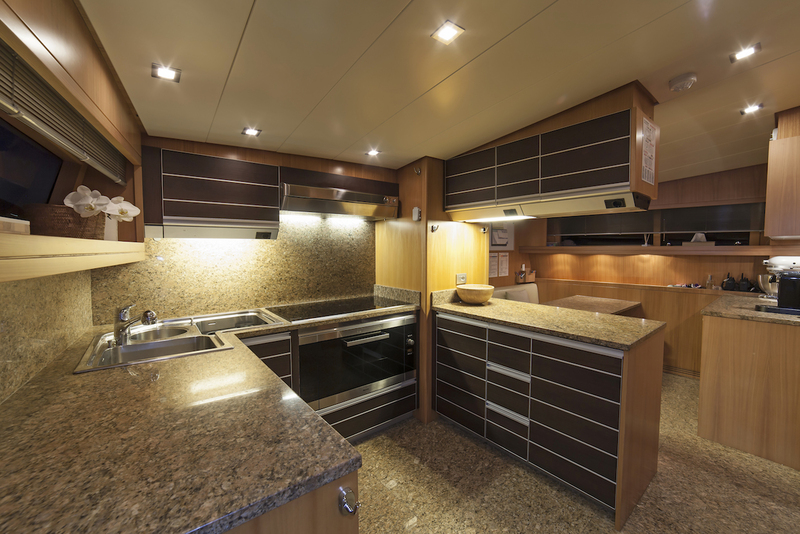 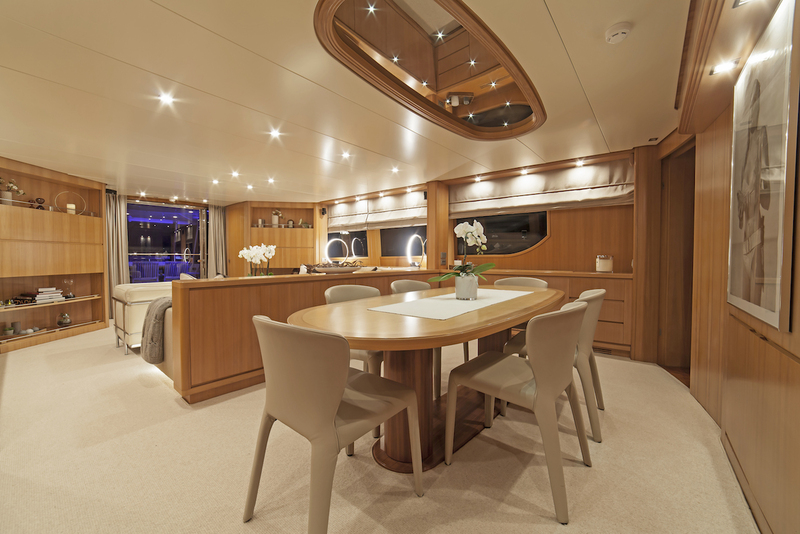 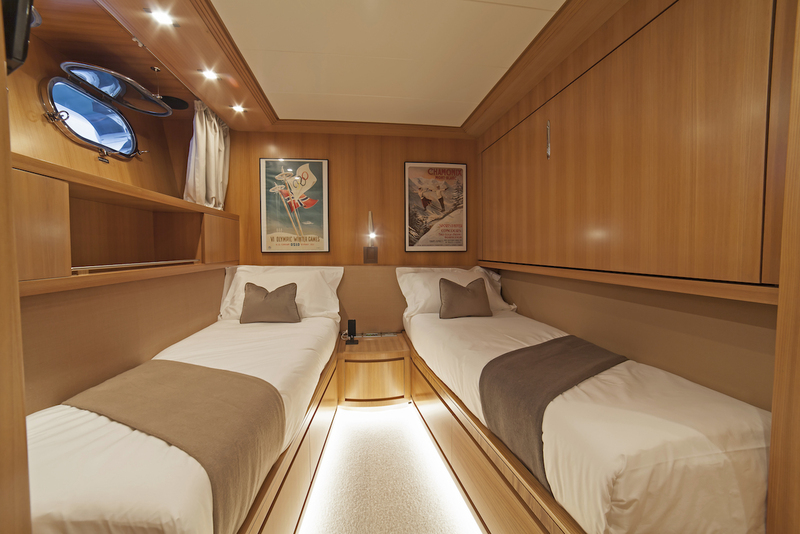 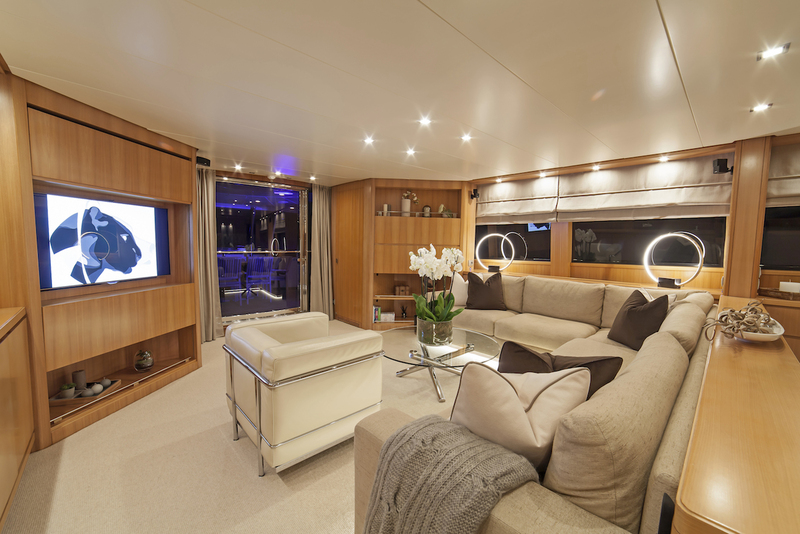 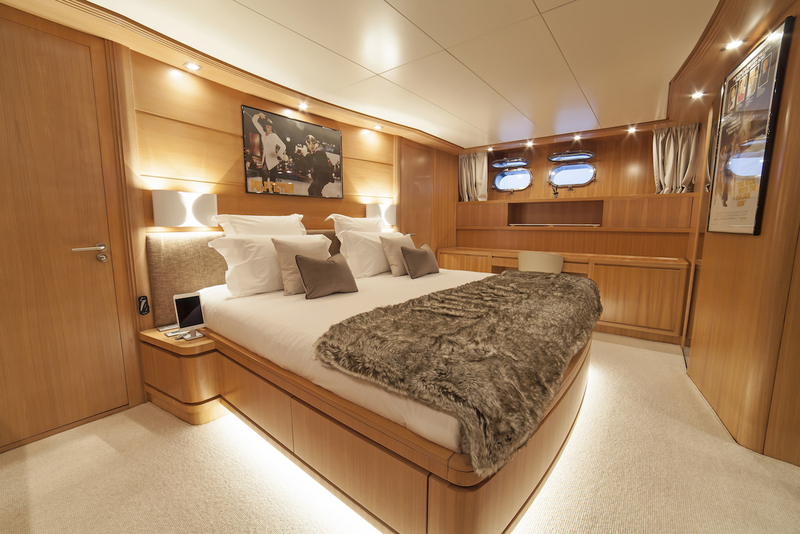 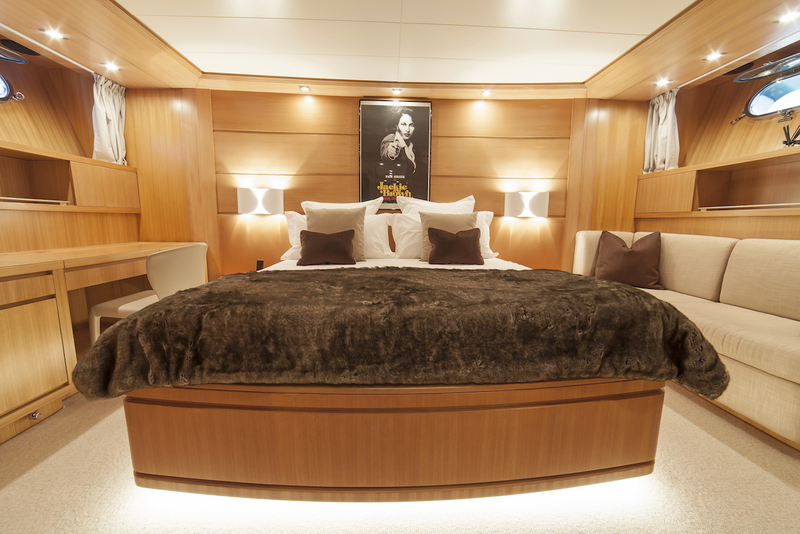 With interior design by Della Role Design, PANTHOURS offers accommodation for up to eight guests in four cabins, located below decks. 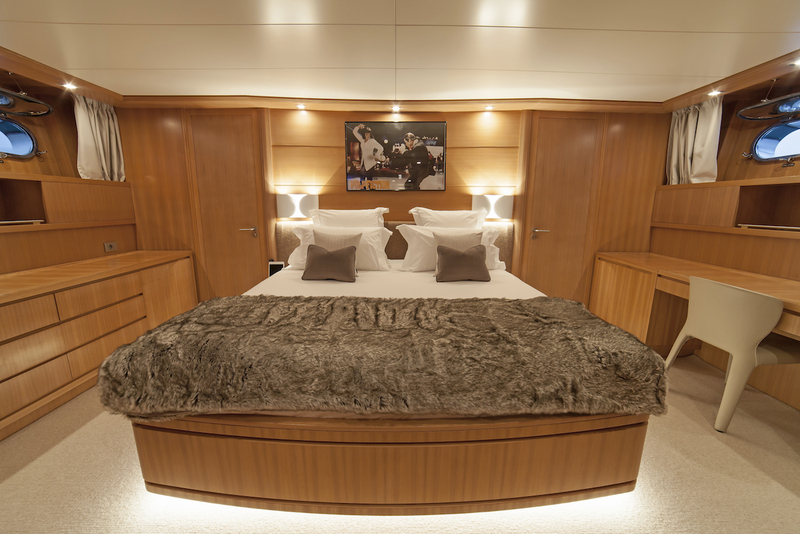 She has a crew of four on board ensuring everyone has a relaxing and adventure-filled charter vacation. 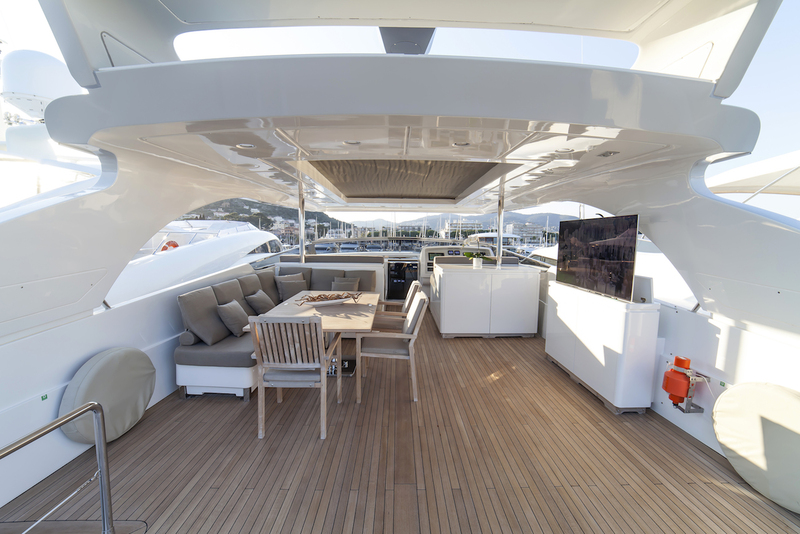 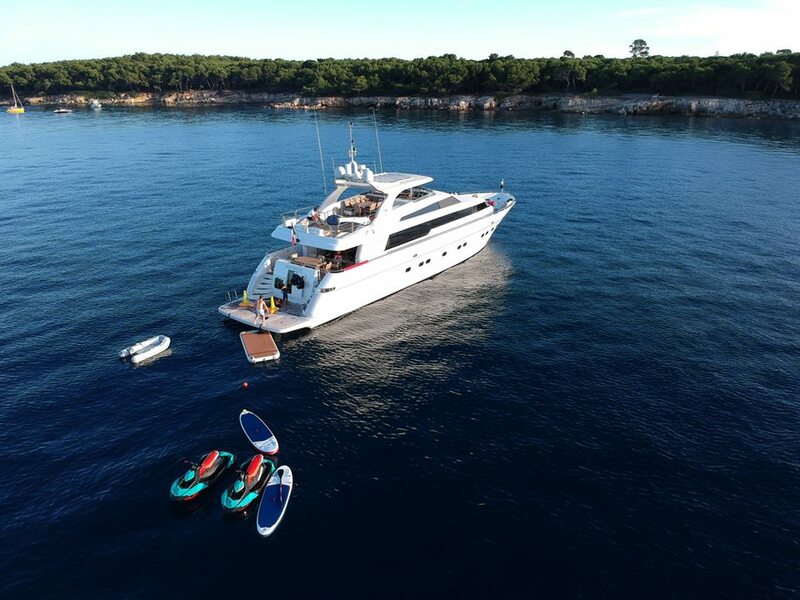 With the last refit in 2018, the yacht features a fabulous extended swim platform to enjoy the vast selection of water toys and easy access to the water. 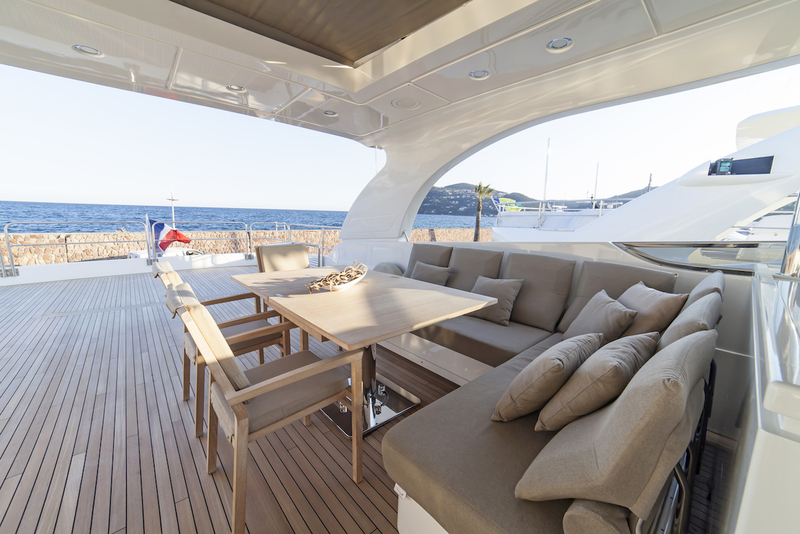 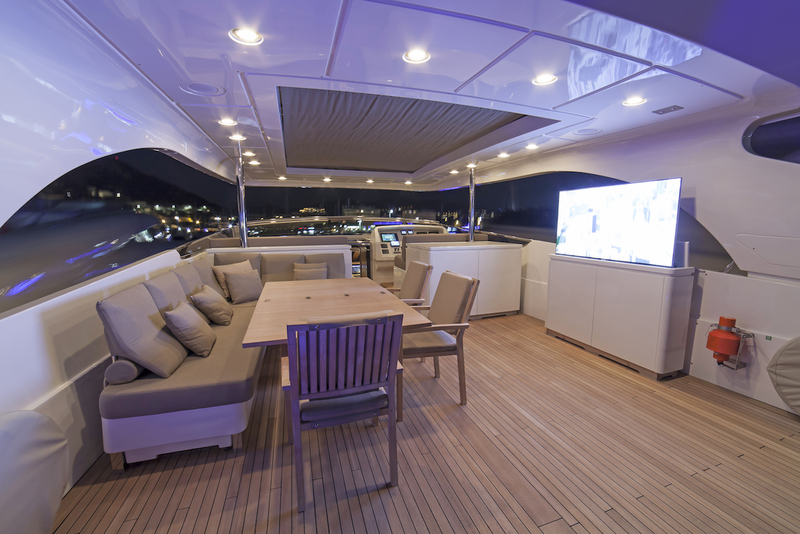 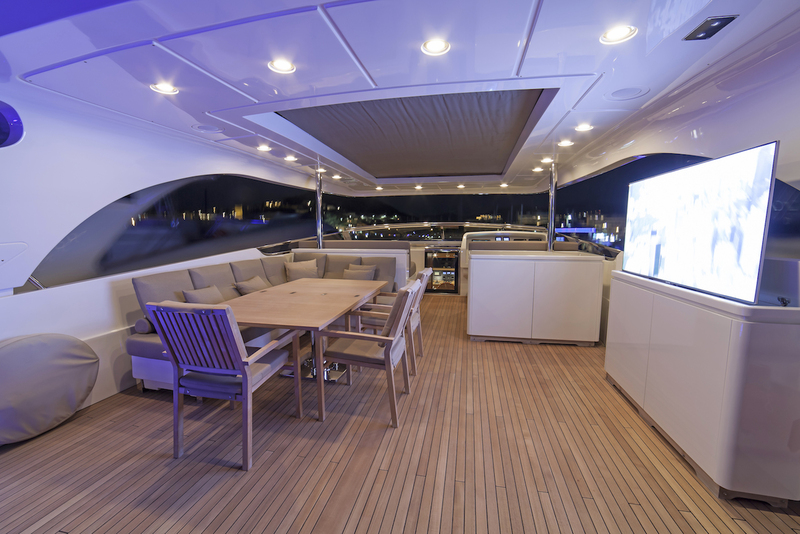 The flybridge is also a fabulous area to relax with al fresco dining possibility, comfortable seating, a large triple sun pad as well as a hardtop Bimini for shade. 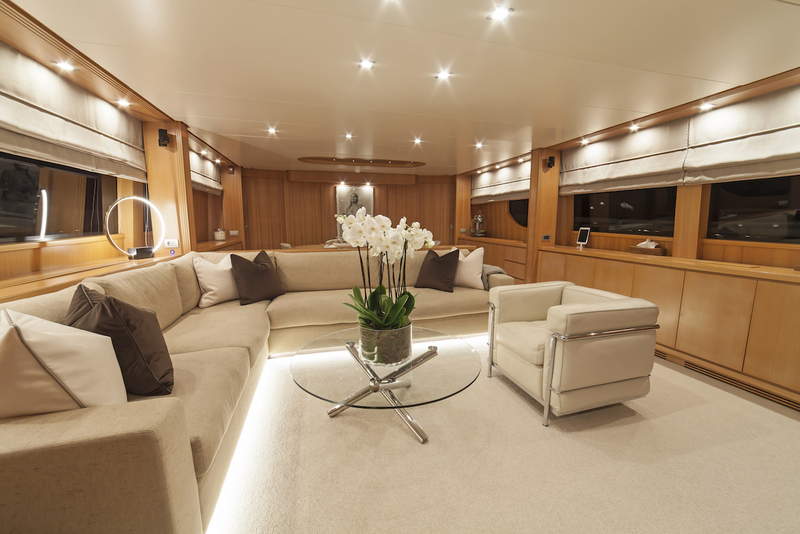 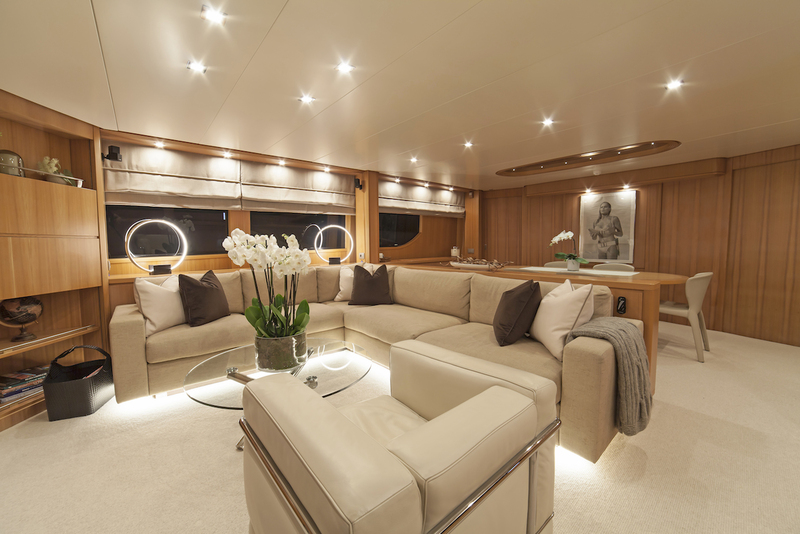 Interiors are bright with plenty of natural light and are decorated with neutral colours, creating a lovely atmosphere on board. 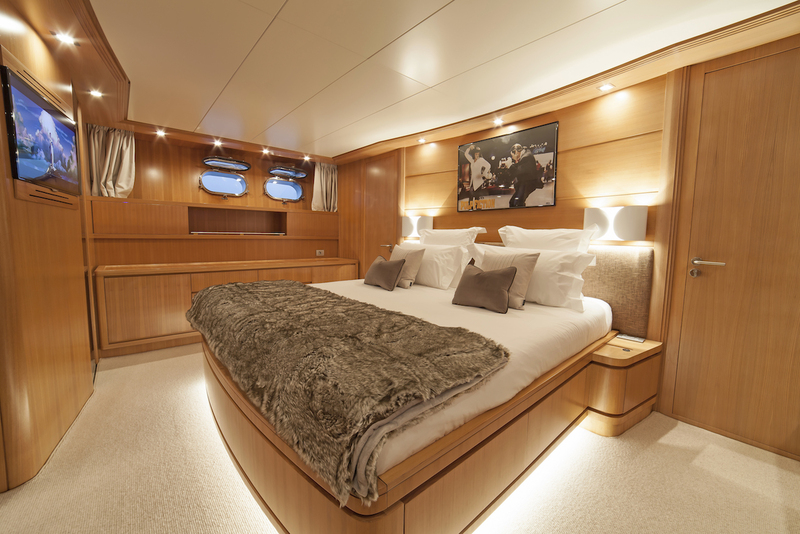 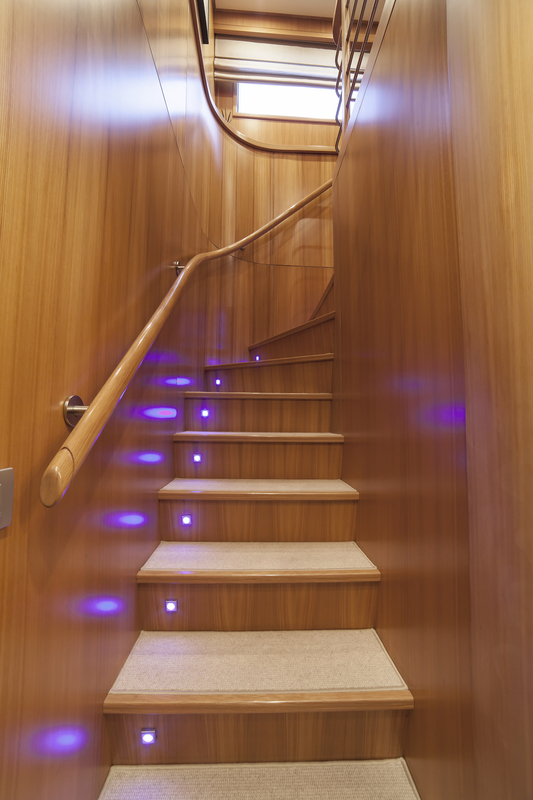 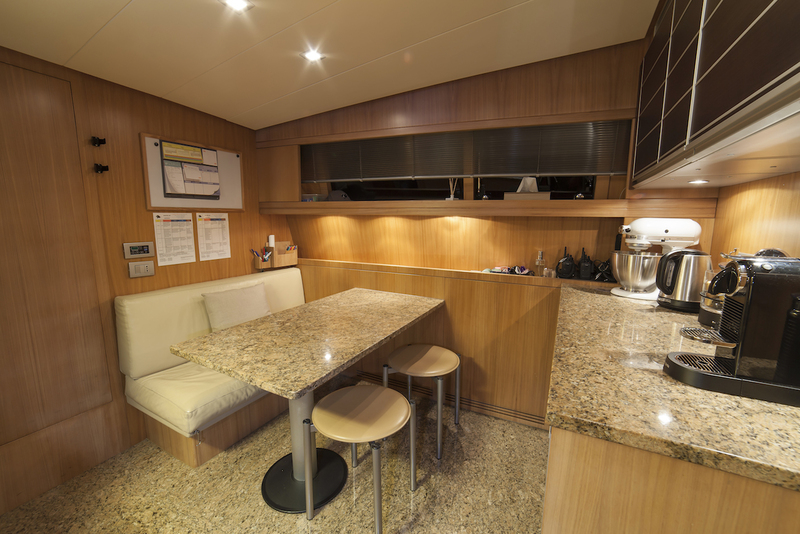 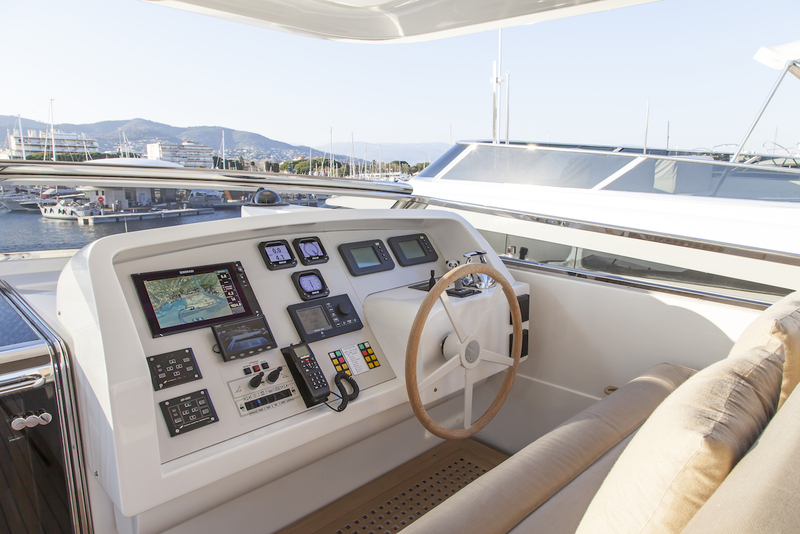 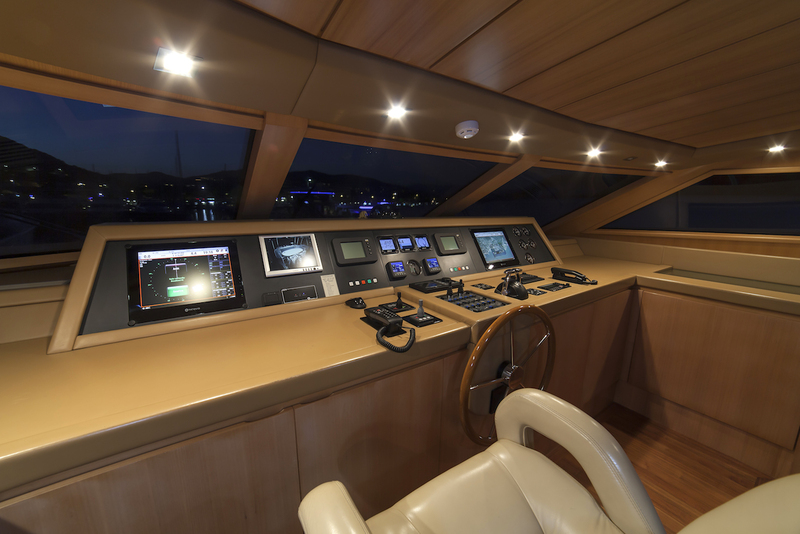 The Seakeeper stabilised both at anchor and underway, offer additional comfort to guests. 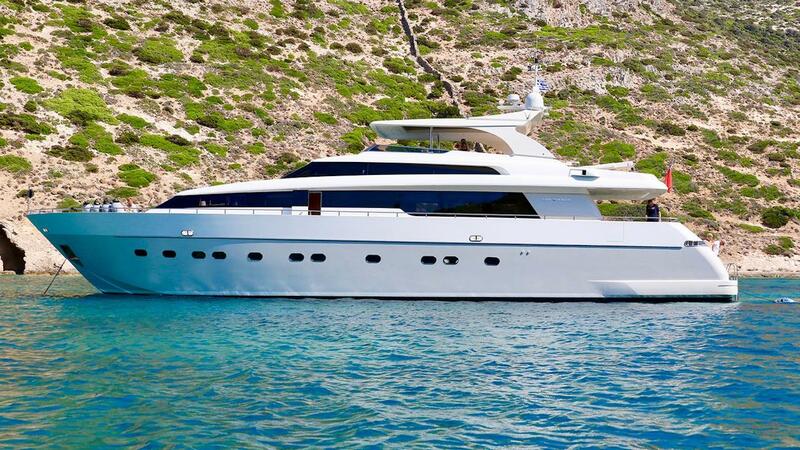 She is powered by two 1820hp CAT C-32-ACERT Diesel engines, reaching a top speed of 23 knots, while her cruising speed if 18 knots and the fuel consumption 500 litres per hour. 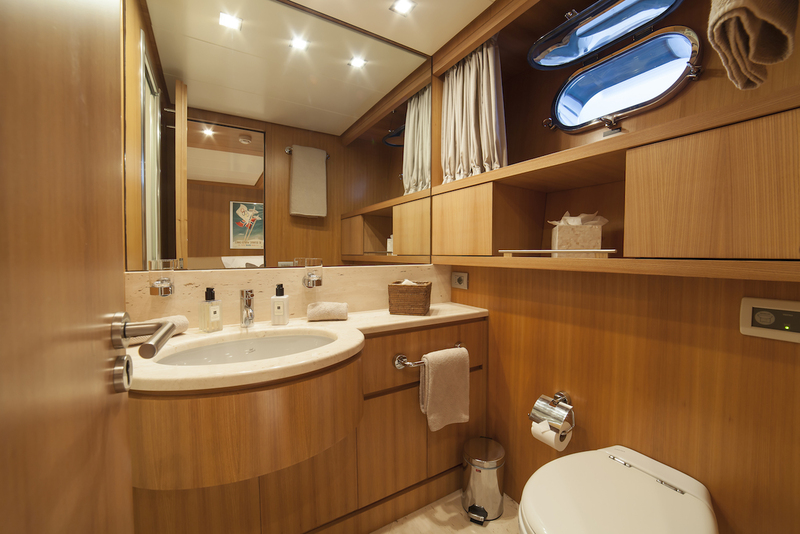 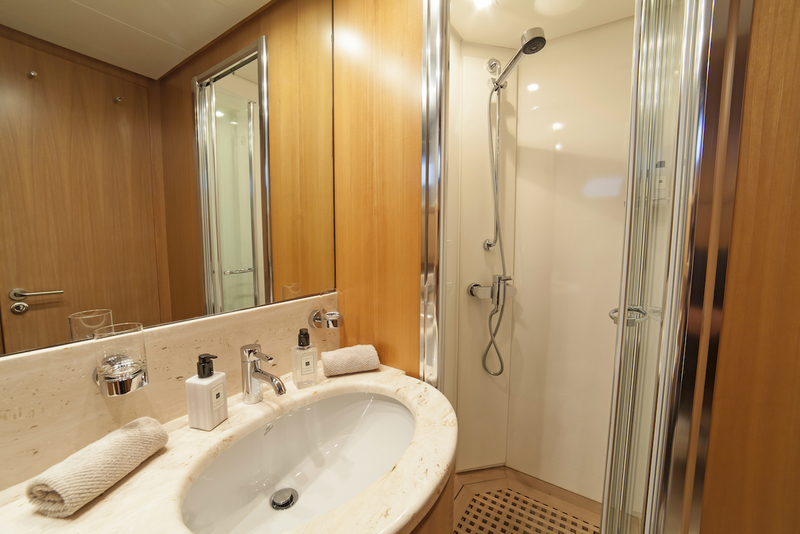 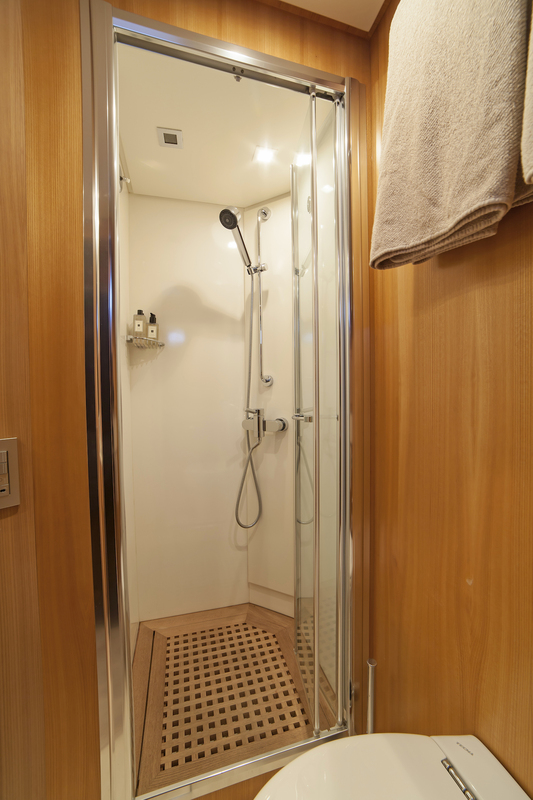 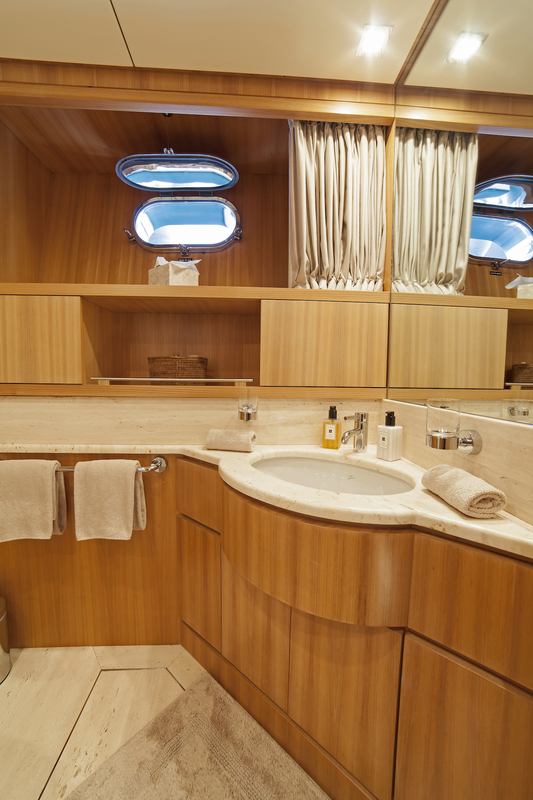 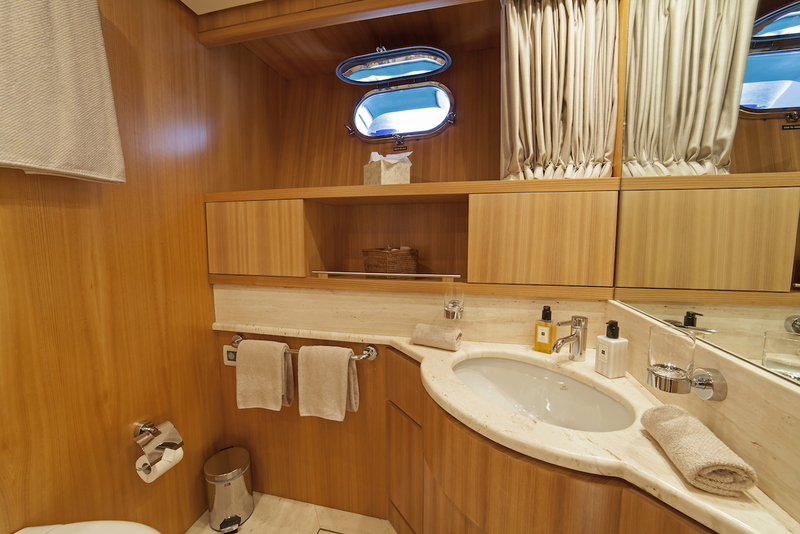 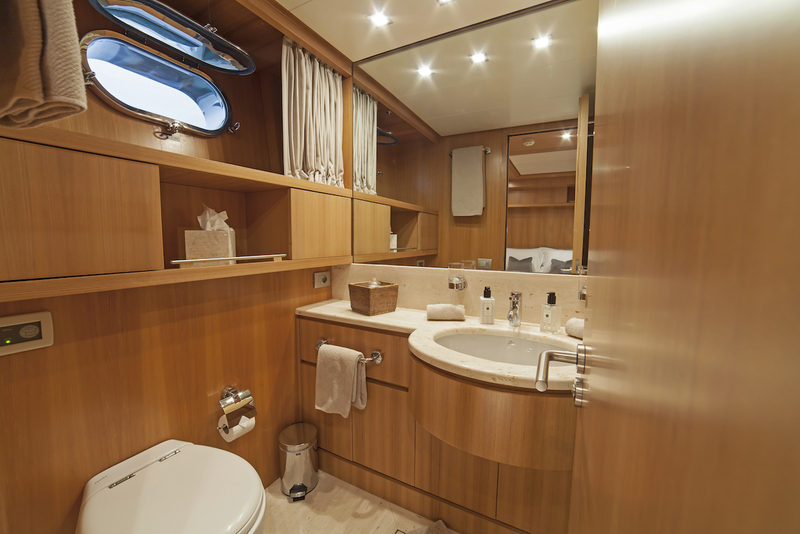 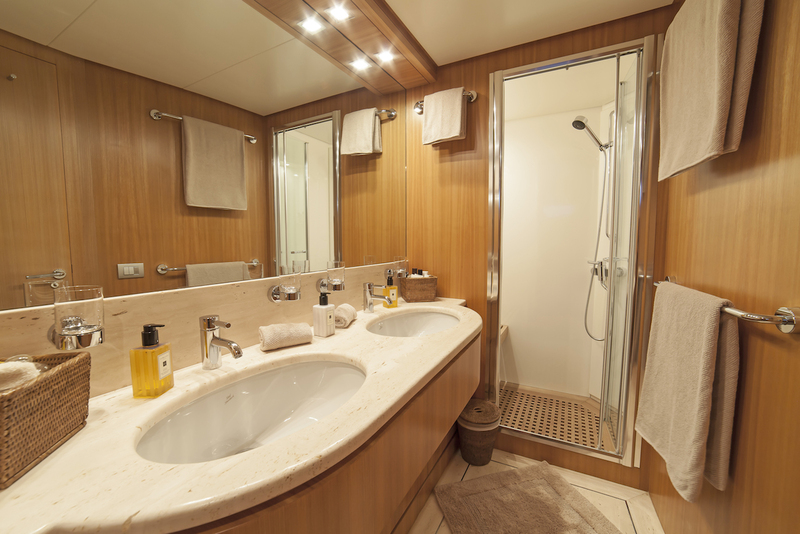 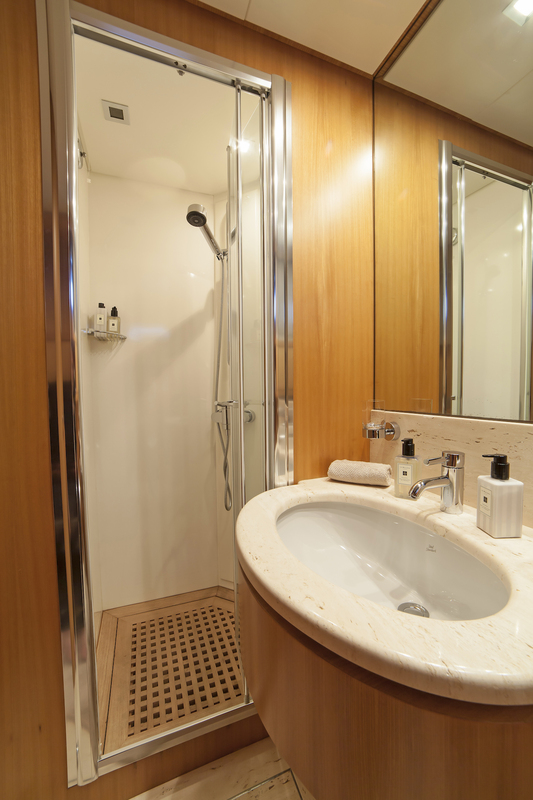 Eight charter guests are accommodated over a four-cabin layout, located on the lower deck with ensuite bathroom facilities.